I like an autumn breeze. Autumn is the better season for studying. The strong wind blew my umbrella inside out. 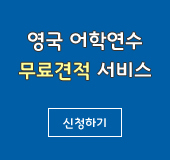 강한 바람이 불어 우산이 뒤집혀졌다. Golden bell blossomed all over the country. The air was very clean and fresh. I rolled snow into a huge snowball. 나는 눈을 굴려 커다란 눈덩이를 만들었다. I made snowballs. I had a snowball fight with my brother. 나는 눈을 뭉쳐서 동생과 눈싸움을 했다. I and my brother went out and made snowmen in the playground. 나와 내 동생은 밖으로 나가서 운동장에서 눈사람을 만들었다. in fair weather or foul, rain or shine.